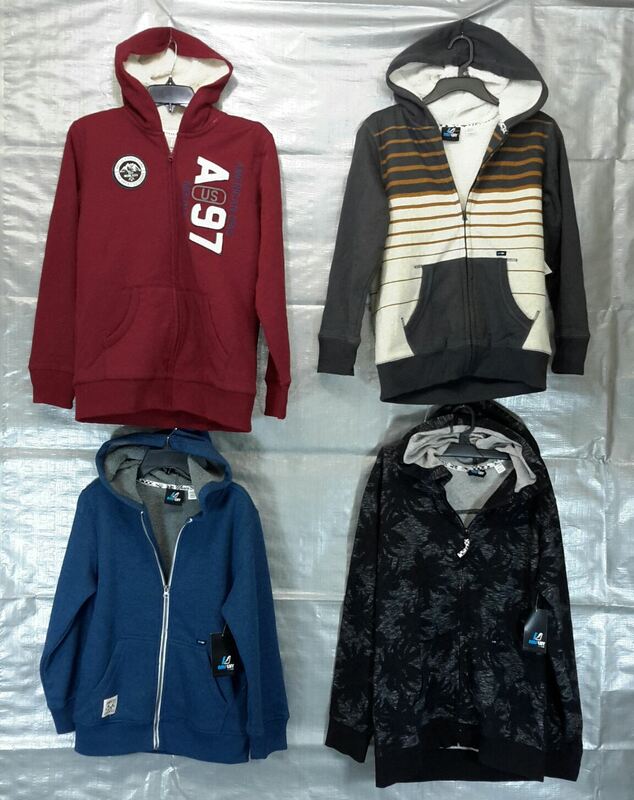 You are purchasing a small wholesale lot of assorted brand new children Hoodies for BOYS. This lot contains approx. 16 pieces. The brands included in this lot are a mixture of: Amplif, Canyon River Blues etc. Click the button below to add the Wholesale Lot Brand New Children's Clothing BOY Hoodies Sweatshirts 16 Pieces to your wish list.